These Minecraft printable Valentine cards are perfect for classroom parties or sharing with loved ones. Just print them out, sign them, and go! 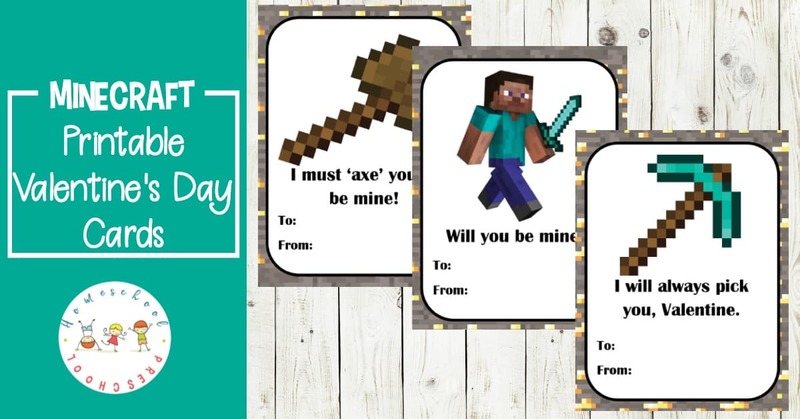 If your kids will be handing out Valentine’s Day cards, they’ll love these Minecraft themed printables. With nine card designs to choose from, they can personalize the cards for their friends and loved ones. Years ago, my younger two kids played Minecraft for hours and hours. They would build worlds and interact with their friends and their worlds. I would listen to seemingly endless descriptions of their worlds and what was going on within them. 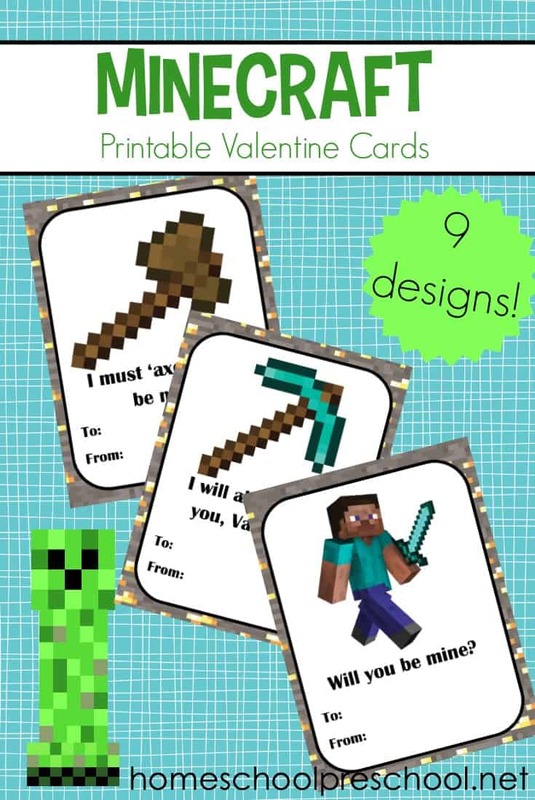 They would have loved these Minecraft printable Valentine cards. I’m sure they would have given them out a few years in a row. Your Minecraft fans will love them, as well. However, if your kids aren’t Minecraft fans, they may enjoy these jungle animal Valentine cards instead. 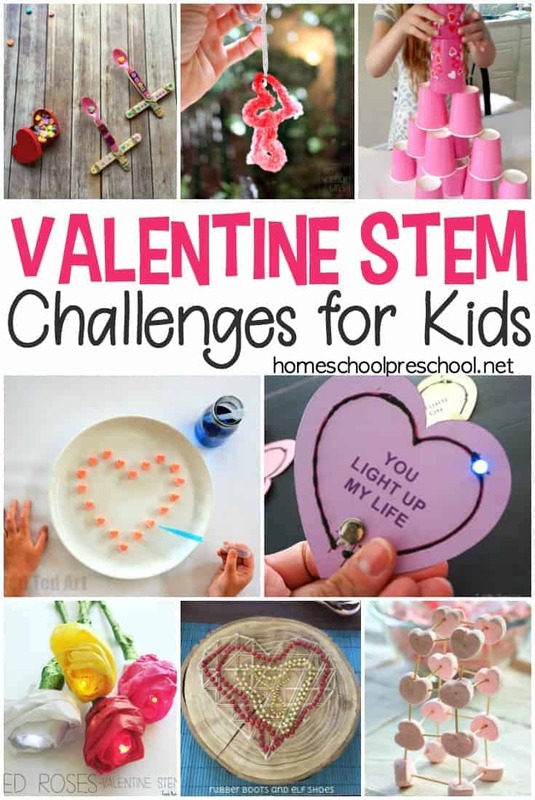 If you’re looking for more Valentine’s Day fun for your preschoolers, check out these posts! 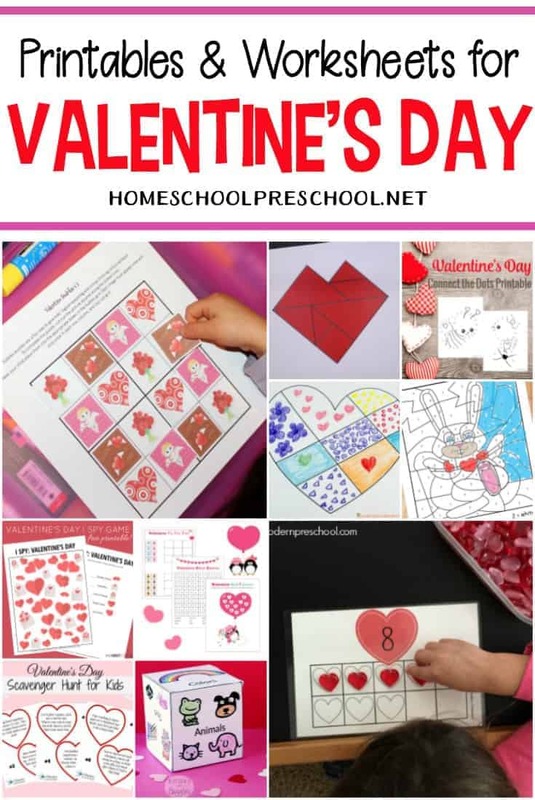 Do you need printable Valentine card ideas for preschool kiddos? I’ve got what you’re looking for! 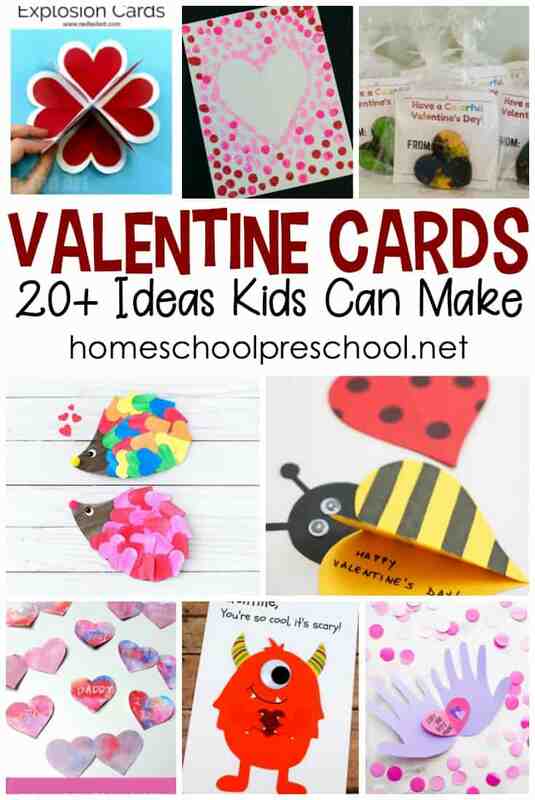 Explore more than 25 printable Valentine cards for kids! Animal-themed printable Valentine cards for kids just in time for the big day! Print and pass these cards out to friends and family! This simple Jesus Loves Me Valentine’s Day craft is quick and easy, but it has a BIG message! Download the free printable, and let your little ones create a one-of-kind message. You can print out as many copies of these Valentine’s Day cards as you need. If your kids need a little extra handwriting practice, try penciling the names in lightly so he can trace them on his own. These Minecraft printable Valentine cards are only available to my readers. Click the button below, enter your information, and download your printables.